For the third stop on our #MonsterConfidence tour 2018, we headed up north to Manchester. The Federation provided the perfect setting for one of our most successful events of the year. When asked what the best thing they learnt from the day was, one girl answered “what it might be like in an interview and how to answer the questions effectively”. Another girl had a message for all our volunteers and partners: “Thank you for making me feel more like a professional who loves their job and less of an impostor”. Head to our Flickr for more pics from the event! 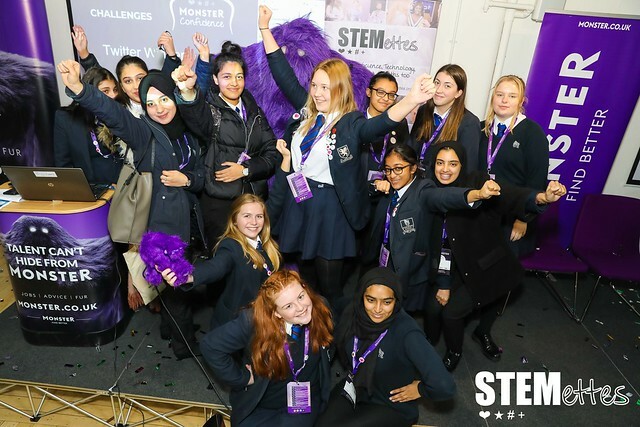 ← #MonsterConfidence Birmingham – everyone can achieve their dreams!